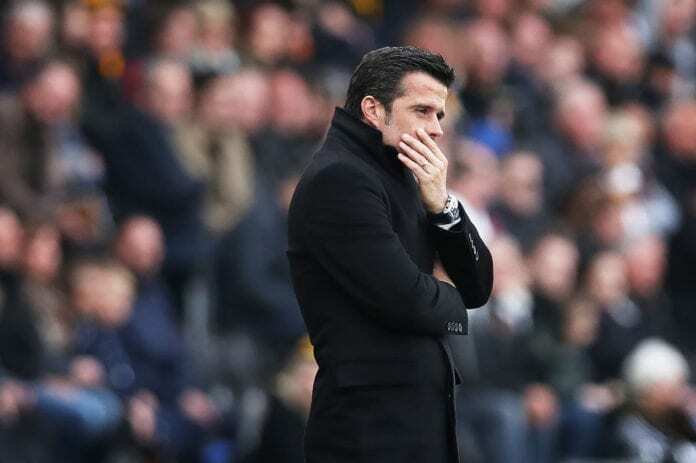 Home Analysis Is Marco Silva to blame for Everton’s underachievement? Is Marco Silva to blame for Everton’s underachievement? Everton appointed Marco Silva with huge ambitions at the start of the season, but the Portuguese manager turned out to be a big disappointment so far. Everton have spent almost £300m since billionaire Farhad Moshiri effectively took control of the club in February 2016. However, the Toffees haven’t made a single step forward in the Premier League and are now on the disappointing 9th position with Marco Silva in charge. They lost their last game 2-0 to Manchester City on Goodison Park after a vastly-improved display. 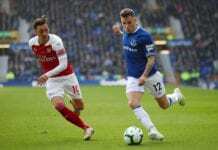 But the Toffees have won only three from the last 13 Premier League games and were knocked out from the FA Cup, by Championship strugglers Millwall. 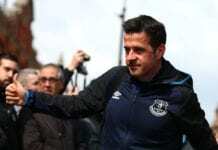 Marco Silva goes to his ex-club, Watford on Saturday as he is starting to feel the pressure from the unsatisfied Everton fans. Silva’s career in England has been characterised by bright starts before steep decline at Hull City and Watford. The disturbing pattern has continued at Everton, with a promising start of 22 points from his first 13 games but only 12 from the next 13. The biggest problem for Marco Silva as a manager seems to be his ability to plug holes in his defensive lines. In his spell at Hull City, from January until the end of the season, they conceded more goals (11) from set plays than any other club in that period while at Watford his side shipped 12, behind only Brighton and Leicester City. He has the same problem at Everton, as they have conceded 12 goals from set-pieces so far this season – the most in the Premier League. Everton are currently a monument to under-achievement, but this is nowhere near a situation solely of Silva’s making. The Toffees board and scouting system must share the blame, as they spent in the region of £300m, but had so many missed signings. Indeed, Everton can be held up as a shining example of how not to operate in the market, examples being the huge contract handed to Spain under-21 striker Sandro Ramirez, bought from Malaga for £5m in summer 2017. Sandro Ramirez played 16 games for the club and scored only once, before his loan move to Real Sociedad, where is yet to score a goal. Ajax captain Davy Klaassen was signed for £25m when clearly not fit for Premier League purpose before being shunted off to Werder Bremen at a £12m loss a year later. Klaassen was part of another senseless purchasing policy which saw three players signed for the same “number 10” position along with Wayne Rooney and £45m Gylfi Sigurdsson. Yannick Bolasie and Morgan Schneiderlin costed Everton more than £46m but turned out big time flops. Last January, Sam Allardyce was handed £47m in that window to spend on Theo Walcott and Cenk Tosun. They have both scored only 13 goals combined for the club. Yes, Silva has struggled to get performances and results from the Everton’s team but it would be wrong for him to assume total blame for the mistakes of others.